Firstly, it is important not to be confused here with the LNWR's main line Oldbury station which is now known as Sandwell and Dudley. This Oldbury station formed the terminus of a short GWR branch line from their Stourbridge Junction to the Snow Hill to Wolverhampton line and enjoyed a very brief operational life from 1885 to 1916. 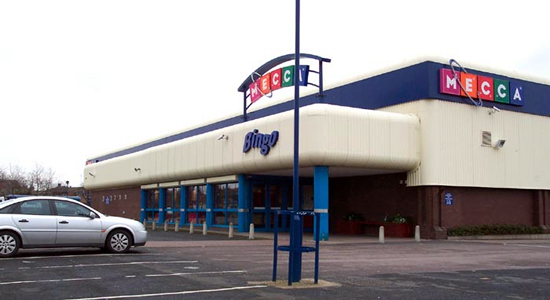 I have yet to come across a photograph of the station so unfortunately I can only provide the one above which shows the site of the station as it is today with the station itself lying under roughly the middle of the Bingo hall - the old line passing from right to left. The line upon which the station stood, however, remained in use until 1995 providing rail access to Albright and Wilson's chemical works, now part of the Rhodia Group, Trinity Road and joined the main line at the present site of Langley Green station which at time of operating would have been between Langley Green and Rood End stations. Above-left we are on Churchbridge, the railway and station site were extreme left. Above-right we are in the same spot but looking across the road in the direction of Albright and Wilson: the red-brick building ahead is on the site of the railway trackbed. It is incredible just how quickly the signs of a railway can be erased: the ceaseless ringroad/bypass building around the Black Country has accounted for the loss of many sites of railway history and here too redevelopment has swept away most traces of the past. I spent some time walking around the area trying to find some evidence that a railway had once passed through this area and I was quite pleased when I found the scene above-left. 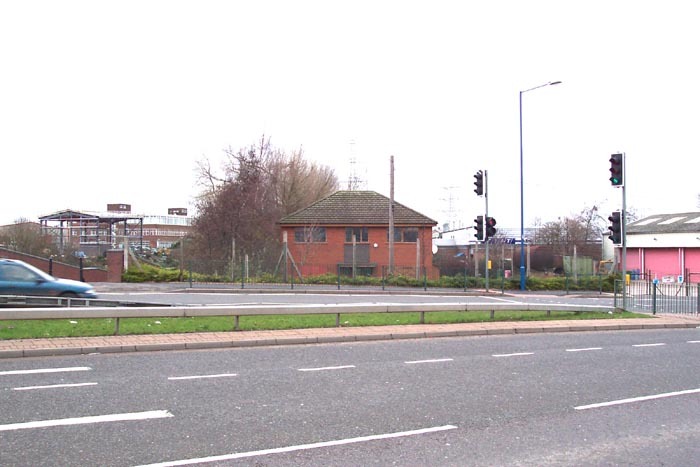 This photograph shows the remains of a railway overbridge which would have carried the branch over Seven Stars Road: Langley Green Station lies half a mile or so to the right. 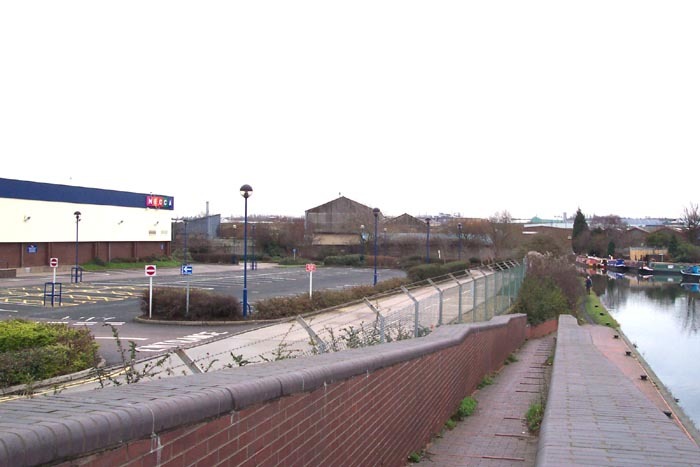 Above-right we are looking at the opposite side of Seven Stars Road and can see that the remains of the bridge here have been removed: beyond the fence is a timber yard occupying the site of the trackbed: the old station site is beyond the timber yard. As was stated above, much has changed here and although I wouldn't have expected any remnants of the station to remain I'm surprised that so little of the line itself still exists. The site is not worth a visit however, for those interested in the line a trip to Langley Green station proves far more rewarding.